There is no doubt in coming years YouTube and other social media platforms like it are going to replace mainstream media. Instead of watching CNN or HBO, people will prefer to watch content on YouTube or DailyMotion. There are many good reasons for this. First one is, on YouTube there is more freedom of expression than a mainstream cable network where you can say politically incorrect things that you can’t otherwise. Second is, anyone can produce and upload videos. Even a normal person like you and me can create videos and broadcast ourselves. We don’t have to own a large production house or a company to do so. YouTube can be best for two groups of people. First group is creators or artists who want to create all sorts of videos like tutorials, entertainment, infotainment, lifestyle, sports, prank, and make money on YouTube. Second is small and big businesses who want to tap into the online market. They would like to expand their businesses by leveraging the power of YouTube. 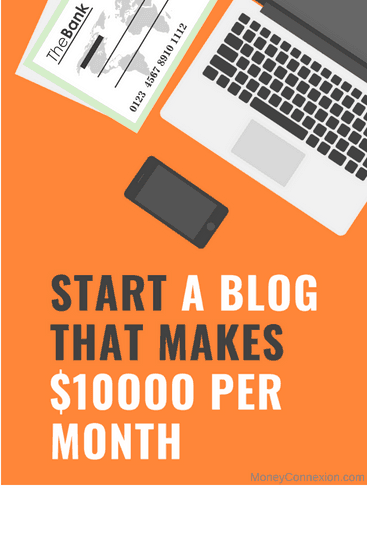 So, you should also think of starting a YouTube channel of your own. 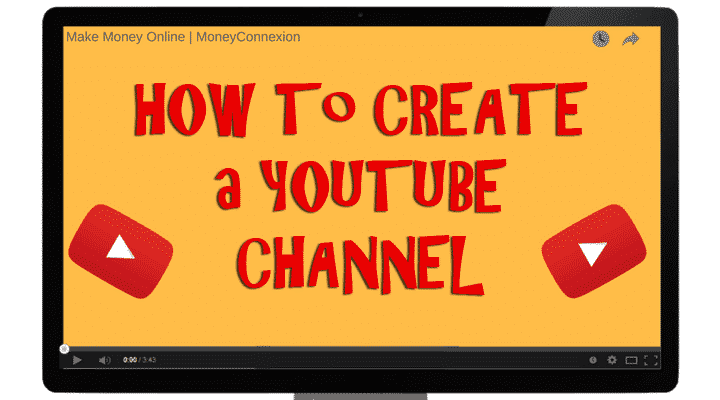 It is very easy to do so; you can make a decent YouTube channel in just 4 easy steps. You can sign in with a Gmail account. If you don’t have a Gmail account then create one first. Visit YouTube and at the top right corner of your screen, click “SIGN IN”. 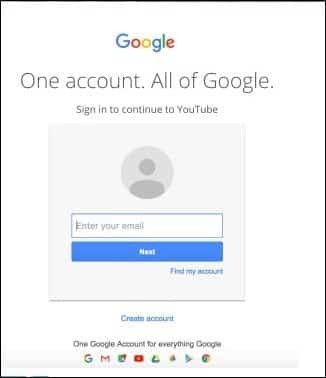 Then you can log in using your Google account. Now you have to go to YouTube settings. On the right corner of the screen, click on the profile icon and then click ‘Settings” cog icon. You have almost completed step 1 of starting the channel. This is a no brainer even a 5th grader can do this. Creating a YouTube channel won’t be difficult but you just have to take care of few things. Under the “Settings” icon choose the option “Create a Channel”. Click on this particular link. Next, you will be asked to create either a personal channel or a business channel. Choose anyone of them. Whatever you choose, a personal or a business, naming a channel appropriately is very important. Now you are going to name your channel and choose a right category. Click on “Done”. Congrats! You have just created your first YouTube channel successfully! However naming your channel right is very important because it is going to stay with you forever. So choose it very carefully. Name of the channel must reflect your personality/business and able to communicate your channel’s concept. Your channel’s name is going to work as a brand. The name must very catchy. Always remember you can change your channel’s name later as it appears on the YouTube page but you can’t change your YouTube URL. So brainstorm before choosing a right name! Your new YouTube channel is not complete yet. Describing your channel is as important as naming it. Right description helps in achieving two things. Viewers will come to know what kind of content they are expecting from your channel. Channel description is really great for SEO purposes. If you are using right keywords in your description then it will help search engines to not only pull up your videos but also rank high in search result pages. In the description box, you can always use links to your websites or blog. Do forget to include main keywords related to your niche in the box. You can go to the Main Channel Window and click on the “About” tab. There click on “+ Channel Description” button and describe your channel in at least 75-100 words. In third step you need to create a YouTube channel icon that closely reflects your channel. Do remember icon is as important as naming your channel. Icon would be your channel’s logo or emblem. Every big brand has their logo. Like Apple has, Nike has, McDonald’s etc. Likewise you also have to create an icon reflecting your channel. Icon shows next to your videos on YouTube watch pages. You have to choose something that really looks good at very small resolutions. It should be 800 X 800 pixels in formats like JPG, PNG, GIF etc. You can insert an icon by going to your channel’s homepage and clicking on the round image on the left side of your channel’s name. Channel art is the most important thing if you really want to create a professional channel with lots of viewers. Channel art is just like Facebook cover photo placed at the very prominent location of the screen. It will tell about your personality and help building a brand name. YouTube recommends you to upload a single 2560 X 1440 pixel image of size 4MB. The image/channel art should always include texts and logos of your channel. Do not forget to add links to other social media platforms and to your website at the bottom right of the channel art. How to set channel art? While setting up the channel you will notice the channel art space on the top with a button saying “Add channel art”. Just click there and add your image. You’re done! Your new YouTube channel is ready in just 4 steps. Now create great videos and upload every week. As I am reading your information it is very detailed. Although I find it frustrating that there is no discussion on how to make money! The very most important issue to why someone wants to start a youtube video…Please explain to me. Thank you! I appreciate your time! Thanks For sharing Great article it really helpful and informative. Great advice here. I’m already in the process of creating my channel. Thanks for sharing. May many thanks to you Sir about your kind information. Would you inform me how to generate or earn money from it and earned money will directly goes to account? I need more details about earning through YuoTube channel. Thanks for meaningful advice I appreciate it. Good advice and I think i will give it a try . because I have some good Ideas to change this world into worth living and enjoying the live with love and happiness ! After creating video content how will I earn money? Who will pay ? Everything is ok but how to earn ? Thanks but I just wanted to know what’s the scheduled option?like public private unlisted n schedule? Thank you sir for such a meaningful advise.